Q: Why was it that the items find in costume is cheaper than ebay? A: A lot of people might not have notice, but selling in ebay is expensive. We need to pay final value fee and insertion fee to ebay which work up to be more than 12% of the final value of the item. This is the link the the ebay fee structure: http://pages.ebay.com/help/sell/fees.html. Moreover, we hope than with cheaper price it will bring more publication. Q: Why was it that the items find in costumebase appear more expensive than ebay? A: All our items overall pricing is definitely cheaper than ebay. The result is becouse every items listed inside here is inclusive of shipping. So if you add both of them up it is still cheaper. Q: How long will delivery take or when should I expect the delivery of my purchase? A: We normally ship within 1-2 working days upon receipt and processed of your payment. We do not ship on holidays and weekend. Shipment is via Sing Post Registered Air mail. Delivery from SIN - Rest of The world will take approximately 10 - 15 working days (guideline provided by the Postal Service). To rule out possible delays and lost of packages in transit, please write to us at costumebase72@gmail.com for the tracking number if you do not receive your purchase after more than 20 work days. Do include in your email, your name, Address, Country, purchase, amount and date of purchase. We will put up an inquiry with our Postal Office for further investigation on your package. Please understand that we are not part of the Postal Office and we cannot be held responsible for delays in Post or Lost of Shipment. We can and we will assist to relay your message to our Postal Office and upon their investigation, revert with a satisfactory answer. Q: What are the common reason for late delivery and how to make the item arrive on time? Q: My parcel was unclaimed for a period of time and was return to the shipper. A: You have two choices, getting a partial refund or have the item send again. For getting a partial refund, it will a refund minus off the shipping and 20% restocking fee(listing and Final Value Fee payable to ebay and transaction fee to paypal). For items being send back to you, you will have to pay the shipping charges again. Q: Why sometime the respond to my questions was not immediate and slow? Different Time Zone: We are working in Singapore where it follows Pacific Time. Basically, North America is 9-12 hrs slower than us and Europe is 7-8hr slower. Anonymous Email: If you are asking about shipping status or Payment details. Please include your User ID, Paypal transaction ID and Paypal Address. Past related questions: Please include past history transcript or emails. This will save us a lot of time searching high and low for past emails. Holiday or weekend: Like everybody, we need rest to keep us fresh and dedicated to our work. A: Most of the measurements of our listed apparels are clearly stated in our listing. Please read the listings before purchase. Q: Do you offer Express Mode of Shipment? 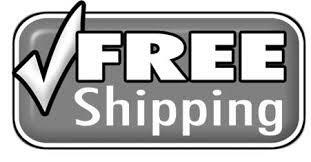 A: Yes we do ship via express post upon customer's request. Express Shipment via FedEx express/EMS will take 2-4 work days for delivery and minimal charge varies. The rates will differ according to weight and final destination of shipment. A: We take great pride in our reputation for quality and excellent value. If for any reason you are dissatisfied with a purchase, we'll assist you with a prompt refund or exchange.